Description: Brown plastic tree trunk. Has a ribbed area near the top to attach the removable HTW213 crow's nest. One side of the trunk has a triangular "peg" to attach the removable hammock. Description: Brown plastic tree trunk (curved slightly near the top). One side of the trunk has a triangular "peg" to attach the removable hammock. 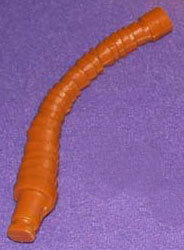 Description: Brown plastic tree trunk (curved slightly near the top). 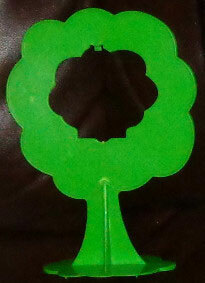 Description: Flat green tree with a hole in the center and s flat support base on the bottom (to stand upright). Description: Curved green hard plastic "trunk" that connects the leaf toppers to the Jungle Hut base. 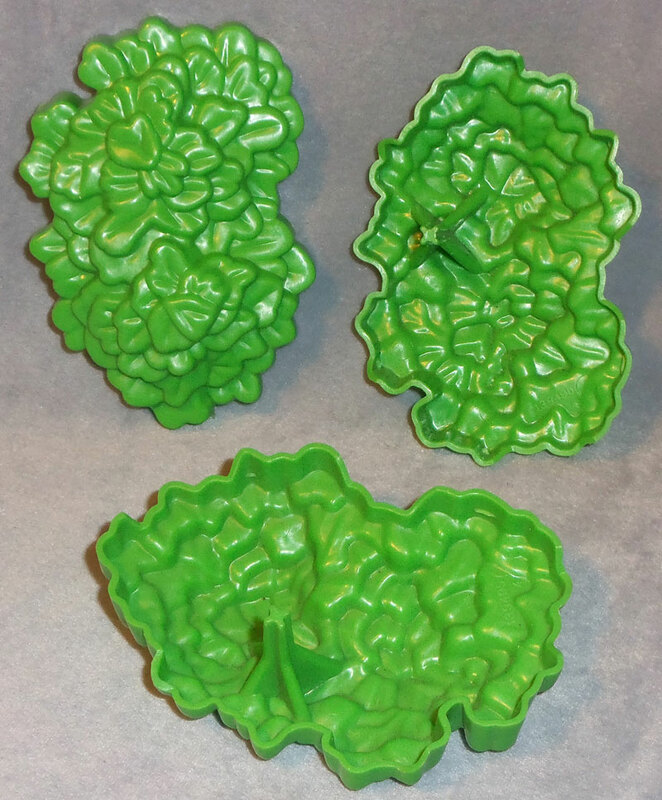 Description: Green molded plastic tree leaf topper. Each "leaf" is long, like a palm tree leaf). Inside center has a raised hollow circle (to attach leaf topper to tree trunks). 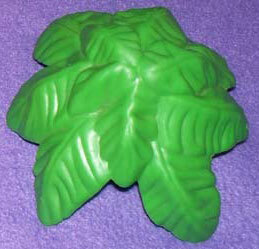 Description: Rounded top, green molded tree "leaves". 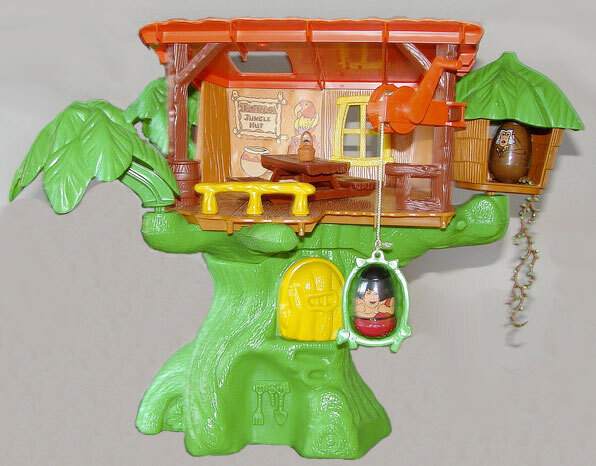 Bottom of the "leaves" has a peg to attach "leaves" to branches around the Weebles treehouse or Hunny Tree.